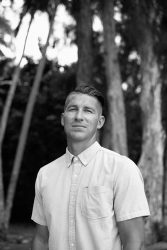 Kevin Sweeney is pastor of Imagine—an urban church in Honolulu that is truly welcoming of all people, sees imagination as the key to the future, chooses authenticity over performance, substance over hype, and quality over quantity. He is also a co-creator of The [un]Commons. a creative community in Kaka’ako. After receiving Masters Degrees in Theology and Intercultural Studies, Kevin is fascinated with and committed to creating environments for creativity, cultural innovation, social healing, communal cohesiveness, and personal transformation. He also co-pastors Imagine with his wife Christine—who us also a marriage and family therapist—and is a father to his daughter Mikayla Brave.